Megan Abbott’s BURY ME DEEP – Thrice is confirmation. When Marion Seeley’s disgraced husband leaves for a position abroad, she is unbearably lonely. Although he left her with a modest amount of money, accommodation and some new clothes, Dr Seeley was the only person she ever spent time with. Marion, who works as a medical administrative assistant, knows that if she doesn’t move beyond her comfort zone, she will be condemned to a life of loneliness. When Nurse Louise Mercer invites her for a girls’ night, Marion boldly accepts – even knowing Louise’s reputation as a relentless party animal. Louise and her roommate Ginny welcome Marion to their circle with open arms and suddenly, Marion has a family. Ginny has tuberculosis, but Louise is committed to providing her with the medication and care that she needs. Marion is moved by the girls’ devotion to one another, especially throughout the wild parties and impromptu gatherings that seem to be the norm at their house. ‘I can’t know what you mean, Louise. I can’t. Elsie’s an everyday girl like we are, I am, I don’t know what you are, I don’t know it now,” Marion said, feeling suddenly dizzy, feeling suddenly the prickly junipers bursting before her eyes, making her head quaky. Who were these women? she wondered. Who were they and what was she? Louise introduces Marion to Gent Joe Lannigan, their friend and benefactor. Gent Joe runs a chain of pharmacies, and his generosity has saved Ginny’s life on more than one occasion. Marion they are entangled in a fiery affair. Only peripherally aware of Louise and Ginny’s resentment of her closeness with Joe, Marion is stunned when Louise confronts her. When Ginny pulls a pearl-handled pistol from her lingerie drawer, Marion has no choice but to shoot the girls who took her in so willingly. Marion, there are things you are sure you’d never do, Louise had said to her once. Until you have. What follows is so unexpected that I hesitate to describe it to you for fear that it would detract from the experience of reading the novel first-hand. The remainder of the book is concerned with the disposal of bodies, the covering up of two murders, the laying of blame and the path to redemption. In BURY ME DEEP, as in DIE A LITTLE, Abbott brings the femme fatale to life. While DIE A LITTLE was concerned with which of the central women was the more powerful, BURY ME DEEP explores the concept in a little more depth. 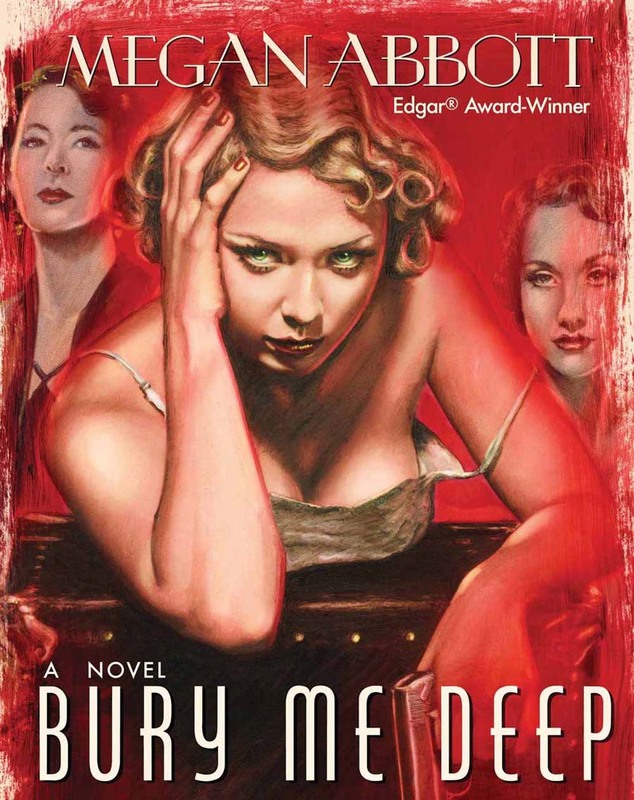 Initially, Marion is the shrinking violet to Louise and Ginny’s party-girl personas, but as the plot jack-knifes midway through the book, her psyche begins to unravel. Propped up by an unexpected source of support, Marion reconstructs herself. After the trauma of Louise and Ginny’s death and the complications of her affair with Gent Joe, there’s no way that she could remain the wallflower she was when her husband first left. 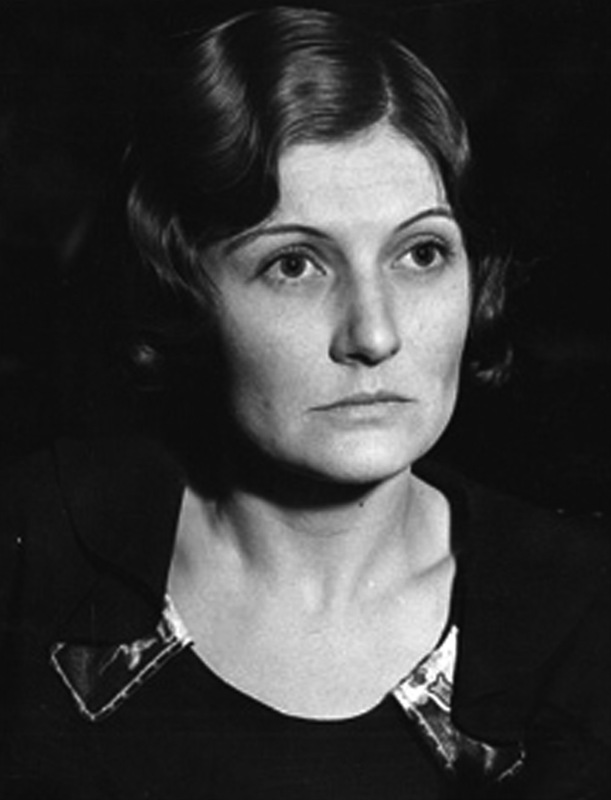 As a protagonist, I found Marion fascinating. She is aware of the fact that she is being corrupted from the inside out, but is also powerless to stop the process. Her self-awareness is the very same quality that allows her to build herself back up again and to enact elegant revenge against the person who most deserves it. Marion also comes to appreciate and understand those who wronged her. I think it would undermine her strength to say that she simply forgives them for the danger they put her in – rather, she develops a kind of profound empathy for the people who have harmed her. One might even say she loves them. While DIE A LITTLE transported the reader to the merry indulgence of the fifties, BURY ME DEEP makes plain the stark desperation of the thirties. Reading this book in an era of relative luxury made me realise just how much of an impact the Depression would have had on the everyday life of a woman my age in the thirties. When Marion buys herself in a tiny bar of nougat and realises that this indulgence will cost her hot meals and shampoo for a week, I think I nearly had a heart attack. I am constantly impulse-purchasing, and I buy four to five books per week. How would I have survived the Depression if a single chocolate could have destroyed my self-sufficiency for an entire week (Answer: I wouldn’t have)? BURY ME DEEP is inspired by the case of “The Trunk Murderess”. In October of 1931, the bodies of a girl and her roommate were discovered in a pair of trunks at a train station in LA. When a young doctor’s wife comes forward and turns herself in, she is saved in much the same way that Marion is. Abbott admits to having been forced to fictionalise those aspects of the story that historical evidence neglects, but by and large, BURY ME DEEP strongly resembles the reality of the tabloid sensation that was The Trunk Murderess’ crime. The fact that this book is based on the experiences of a real-life woman makes it a much more sobering tale than DIE A LITTLE. The scene at the train station, where the contents of the infamous trunks is called into question, is actually quite sickening when you remember that there were once two bodies, two wild party girls brought to a horrific end, and transported in much the same way. 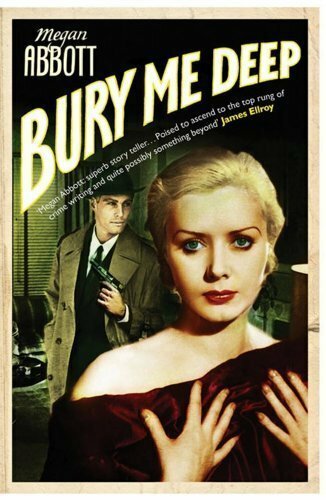 BURY ME DEEP is a much more sophisticated novel than DIE A LITTLE. This is to be expected, given that DIE A LITTLE was Abbott’s first, but the evolution of Abbott’s ability as a writer is enormously apparent. Once is a fluke. Twice is a coincidence, three times is confirmation. If there was any chance that Megan Abbott’s DIE A LITTLE was a fluke, DARE ME allayed those doubts. And now, with BURY ME DEEP, I can confirm: Megan Abbott is one hell of a writer. Want a copy of BURY ME DEEP? Contact Pulp Fiction Booksellers on (07) 3236-2750 if you’re in Brisbane. Alternatively, visit them online and add them as a friend on Facebook. Like the sound of Megan Abbott? Check out her website here, and read my reviews of DIE A LITTLE and DARE ME by clicking on the links. § One Response to Megan Abbott’s BURY ME DEEP – Thrice is confirmation. You are currently reading Megan Abbott’s BURY ME DEEP – Thrice is confirmation. at The Novelettes Book Reviews.